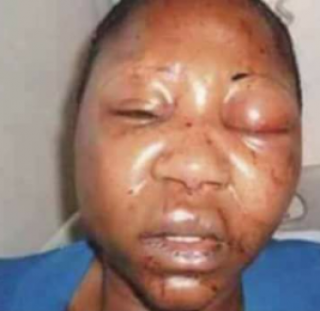 A man allegedly battered his wife when he found her in a beer parlour with her boyfirend. 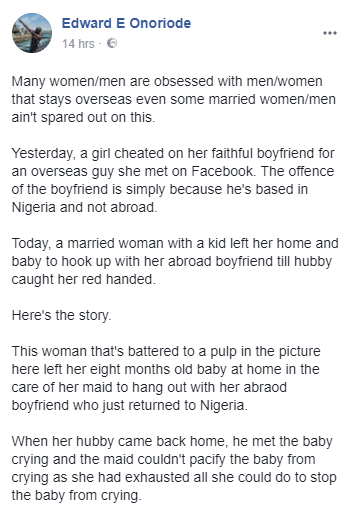 According to a Facebook user who shared the story, the man had returned home to find his wife gone and his eight-month-old baby alone with the maid. 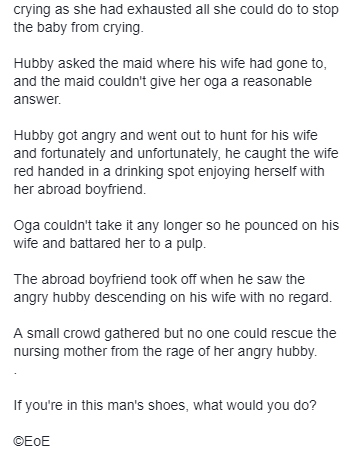 He went in search of his wife only to find her in a beer parlour with her boyfriend who resides outside the country. 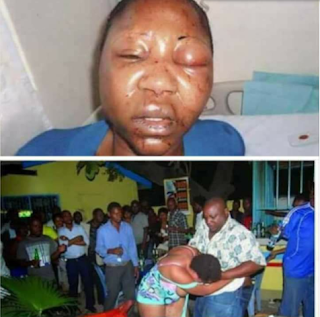 In anger, he beat her mercilessly while the boyfriend fled. Others in the beer parlour stood watching and made no effort to stop the abuse.